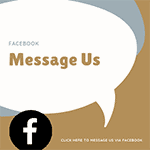 Testimonials | Bartok design Co. Testimonials – Page 3 – Bartok design Co. 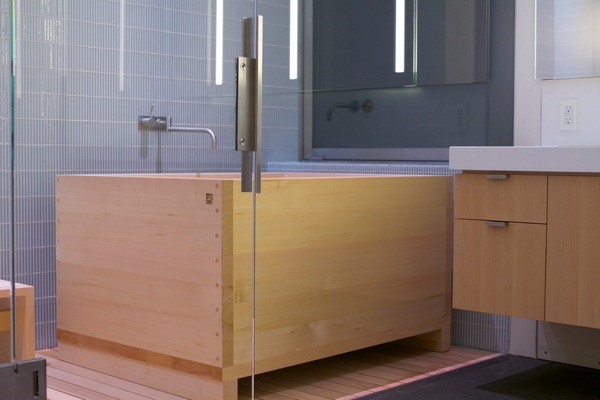 I have finally installed the hinoki tub in our house in Whistler, Canada. It looks really great. Before I start using it, I have a question about it. 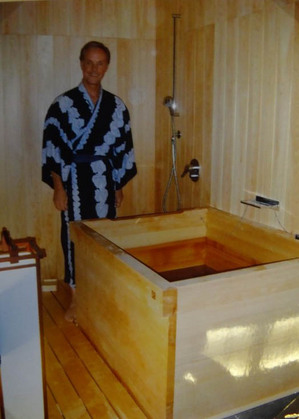 The wood surface of inside part of the tub produced a sticky sap. Is it normal and should I was them off before using it or leave the sap as part of the aromatherapy property of hinoki wood? Sorry I never own one before so I am clueless. About the resin deposit: it is natural and of course it does not have any health implication. You can remove it using a solvent as Acetone. You can purchase it at a paint shop or home center. Be sure to keep the window open (as it is highly flammable), put some acetone on a cloth and wipe gently. Please keep me updated on the result. Yes, the acetone worked well to remove the resin deposit. 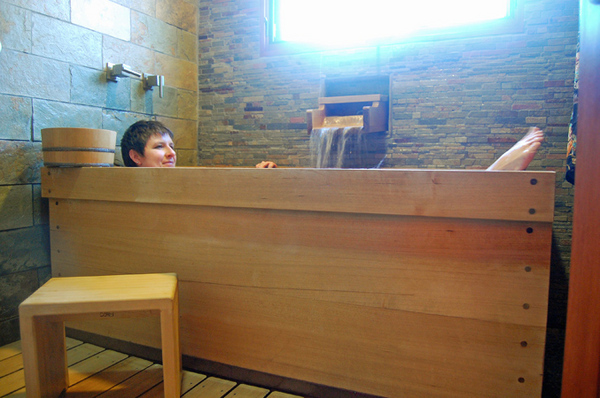 Here are some other photos I took of the hinoki tub… feel free to use anyone. Our wonderful bath has arrived in perfect condition and it looks amazing. The tub has arrived at our home last Friday. We have unpacked it just to see and smell it…and repacked it because our bathroom will be available only in a couple of months ! 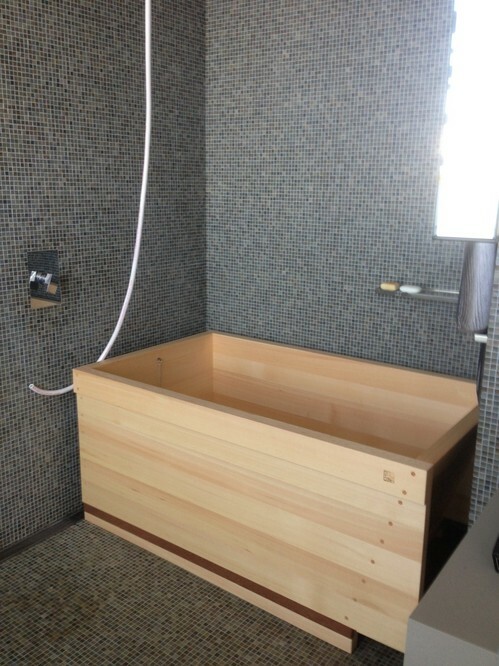 The tub is beautiful – we are very happy to have it …it will be hard to wait before we can use it ! Hello Iacopo and everyone at Bartok Design! I wanted to tell you that we are enjoying our beautiful bath accessories (stool, bucket, and ladle). The aroma of the wood is incredible and brings back fond memories of Japan. I cannot fully explain how happy we are, the craftsmanship is wonderful. I also want to thank you for all the help with the shipping issues that we experienced. Transporting goods across the world is not always an easy thing and sometimes the carriers are very rough. Even though you packaged everything very well, they still managed to crush the container. However, when I reported this to you, I was immediately informed that you were shipping out replacements. There was no hassle or question, just your team taking every step necessary to ensure my satisfaction. I only wish that I get such incredible customer service here in California. 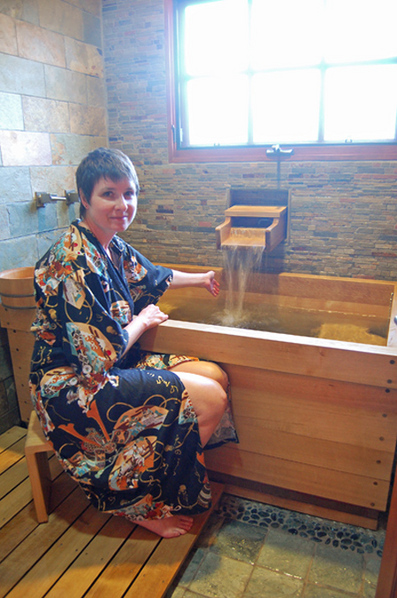 We will be remodeling our bathroom soon and I look forward to purchasing the ofuro and related items from you. You have more than earned the business through impeccable service and stellar quality. I am very excited for that day to come soon! Nice to hear from you ! And congratulation on this nice opportunity for you to show your product! 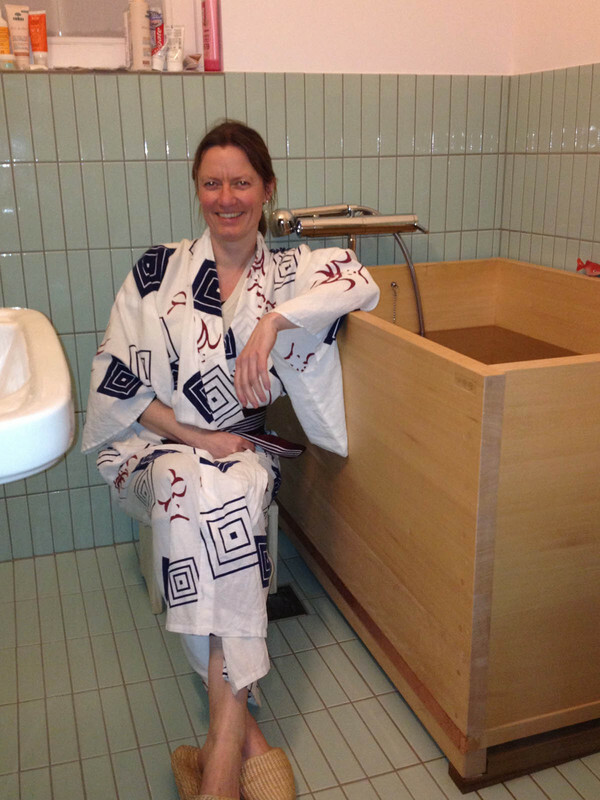 We have been indeed enjoying hot baths… actually nearly everyday in Winter!!! Attached is a picture of our daughter and her friends… It was during her last birthday (pyjama) party. Not quite a standard use of the Bathtub… but they had a lot of fun taking their bath together!